NYC Comptroller John C. Liu was the keynote speaker at the sold-out event. 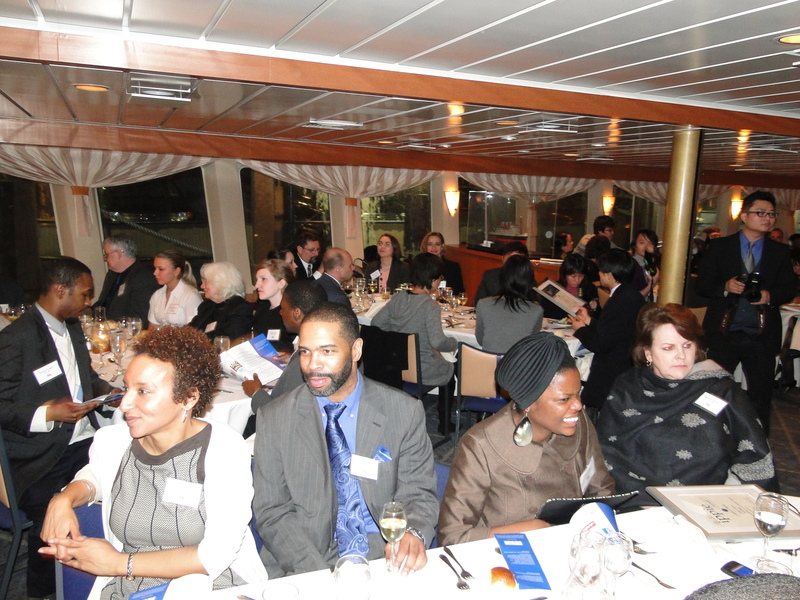 New York, NY— New York Community Media Alliance held the 2011 Ippies Journalism Awards dinner aboard The Princess Yacht at Pier 81 on the Hudson River. 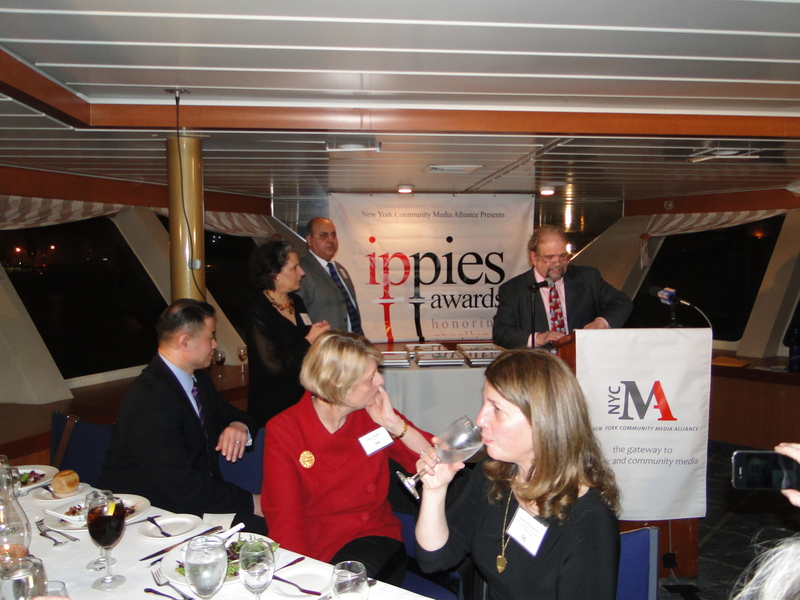 The Ippies brought together NYMCA members, their families, friends and NYCMA supporters to honor and recognize the outstanding ethnic and community journalists serving New York’s diverse communities. The event was made possible with member support and allies including SEIU 32BJ and CRI, CUNY TV, CUNY, AARP, Con Edison, foundations and advocacy groups. NYC Comptroller John C. Liu was the keynote speaker while Laura R. Walker, president and chief executive officer of New York Public Radio, was the guest speaker at the sold-out event. Among the guests were independent journalist and executive producer of the award-winning Democracy Now Amy Goodman, President of CUNY TV Bob Isaacson and Grit TV’s Laura Flanders. Renowned radio journalist Bob Hennelly of WNYC radio served as the emcee. In all, 34 awards were given in twelve different editorial, graphic and multimedia categories. “NYCMA has always been working at eroding the language and cultural barriers that immigrant communities face; and now we are faced with the challenge of a digital divide. We must make sure that there is integration in the media sectors to promote many voices,” she added. In his remarks Comptroller Liu recognized the importance of New York’s ever-growing ethnic and community media. “The work of the Alliance promotes coalition building within this media sector, and draws mainstream and progressive media attention to the community perspectives,” he said. Liu acknowledged World Journal, Sing Tao, Our Time Press, The Daily Challenge, Korean Daily, La Voz Hispana, Carib News, Urdu Times, Sada-e-Pakistan, Irish Echo and Nowy Dziennik (Polish Newspaper) for excellence in reporting on issues and topics affecting New York City’s communities. The evening’s guest speaker, Laura Walker, praised the roots of ethnic media. “It’s great to see such a strong turnout in support of New York community-based journalism and I am honored to be apart of this year’s journalism awards,” she said. “The New York Community Media Alliance plays such an extraordinary and important role in our media landscape. It exists solely to unite, organize and honor community journalism that speaks directly to and for the diverse population that defines New York,” Walker said. Walker said that in a city where world cultures is local culture, all those in attendance at the awards dinner played an integral role in ensuring that critical information was delivered to every doorstep and that the voices of each and every community were heard. Chinese daily Sing Tao won the highest number of awards this year, bagging four honors, followed by World Journal (Chinese daily), The Forward, Zaman USA (Turkish weekly) and the Indypendent, each winning three awards. City Limits, Nueva Luz and Colorlines one two each while Little India, El Diario La Prensa (Spanish daily), The Indian Express, Blackandbrownnews.com, Irish Echo, Sada-e-Pakistan, Our Time Press, CUNY TV, Feet In 2 Worlds, La Voz, The Riverdale Press and Nowy Dziennik (Polish daily news) won one each.